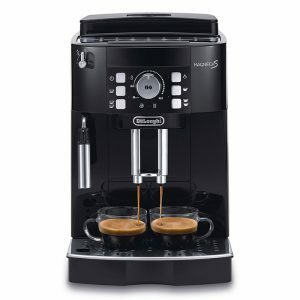 De’Longhi’s bean to cup coffee machines are regularly featured in best buy and recommended lists. They’re a recognised major player in the coffee market with their machines at all levels known for their quality, ease of use, and reliability. 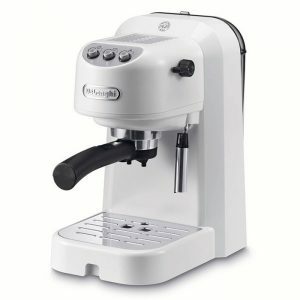 The De’Longhi ECAM44.660.B Eletta is a classic example of why Delonghi’s reputation in the market is well deserved. 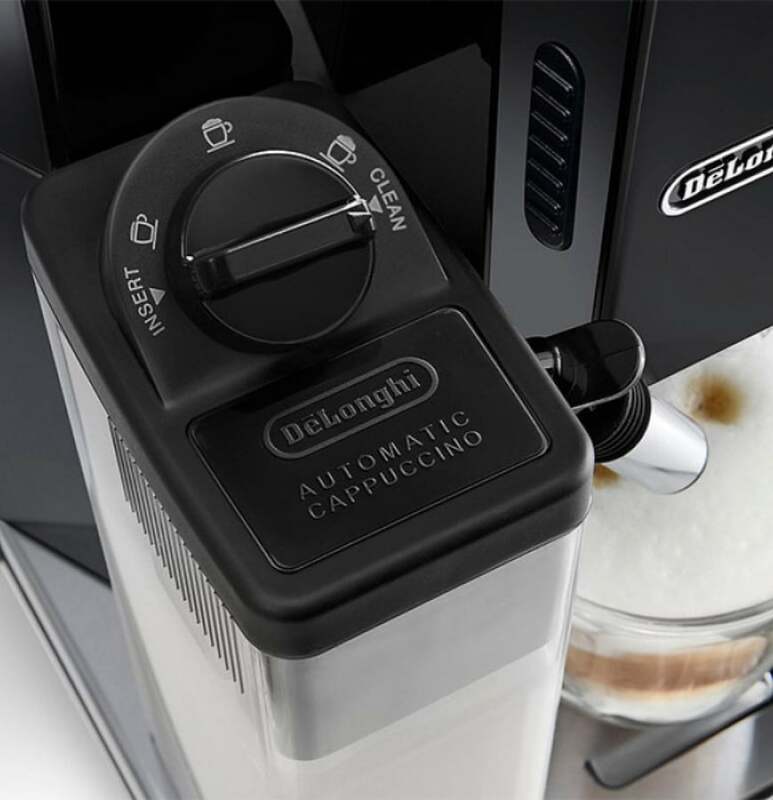 Classed as a midrange bean to cup coffee machine, the De’Longhi ECAM44.660.B Eletta boasts an impressive 4.5 out of 5 star rating on Amazon and other retail sites, with its popularity only limited by its price tag. 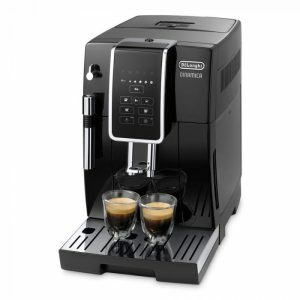 So for those who can afford to spend a little more, why is the De’Longhi ECAM44.660.B Eletta a clear favourite? The whole point of a bean to cup coffee machine is to be able to enjoy freshly ground coffee at home without having to put in the effort associated with traditional coffee making methods. 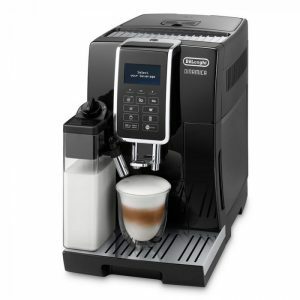 The De’Longhi ECAM44.660.B Eletta easily achieves this aim. This bean to cup machine offers an impressive range of one-touch features, including thirteen different grinder settings. 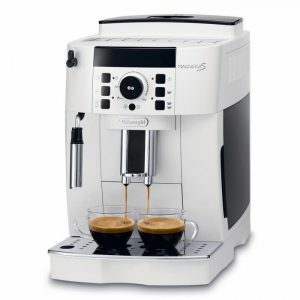 And while the De’Longhi ECAM44.660.B is marketed primarily as a cappuccino machine – and so includes an automatic milk frother – it also produces high-quality latte, macchiato and flat whites with a single press of a button. For busy homes with multiple coffee fanatics, the De’Longhi ECAM44.660.B Eletta has two dispensers, allowing it to make two cups at a time. Alternatively, if you prefer your caffeine hit in a mug, then the two dispensers can be used at the same time with the ‘long’ option, to fill the cup. The large two litre water container means that you can keep the coffee brewing without needing to refill too often. Cleaning is an essential part of keeping your bean to cup coffee machine in good order and extending its life expectancy. With many machines, the cleaning process is both a time consuming and fiddly. The De’Longhi ECAM44.660.B Eletta solves this problem with its rinse and descaling auto-programmes that make the whole process simple and straightforward. 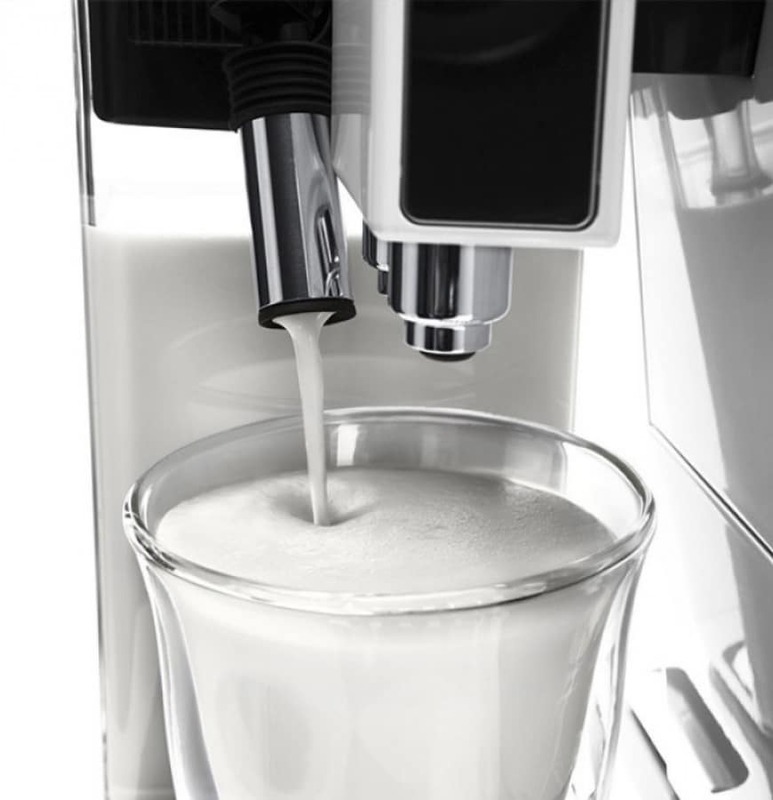 The milk frother is also easy to clean, and the milk container, which Delonghi describes as a milk carafe, is removable so that any excess milk can be stored in the fridge to keep it fresh, and makes it easy for cleaning. Numerous reviews state that the milk carafe requires some force to remove it from the unit, while other reviewers complain that the coffee dregs waste container message appears when only around a third full, but these are minor issues compared to the ease of use it offers otherwise. 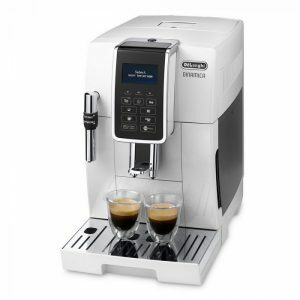 In addition to the extensive preset programme already mentioned, the De’Longhi ECAM44.660.B Eletta makes it easy if you prefer to find your own groove coffee-wise. It allows you to create and store your own programmes. 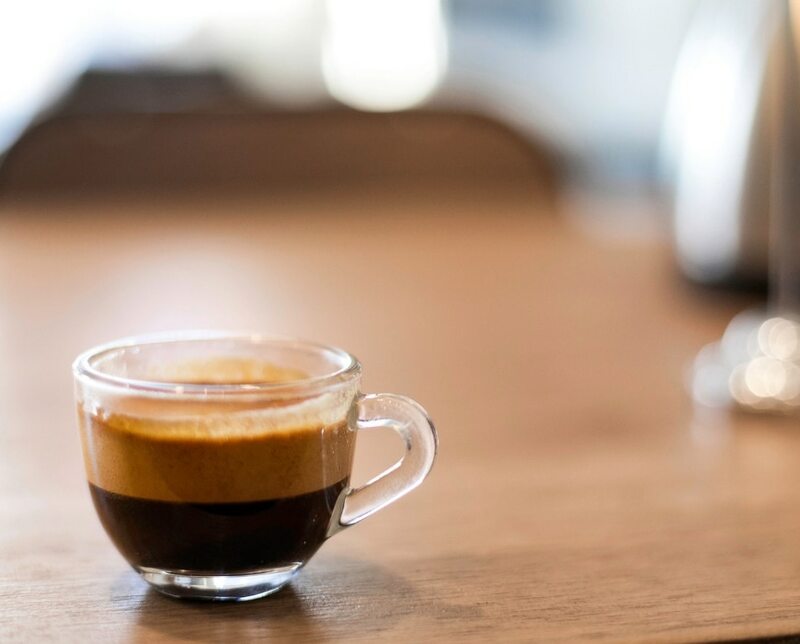 Every aspect of your perfect cup, including grind coarseness, strength, temperature, the option of presoaking, and your preferred milk volume for a coffee that meets your personal tastes every time. The touch-sensitive LCD digital display guides you through the process, making it easy for you set your preferences. And should you fancy a change, you can also use pre-ground coffee rather than whole beans, although there isn’t the option to set the strength of pre-ground coffee. 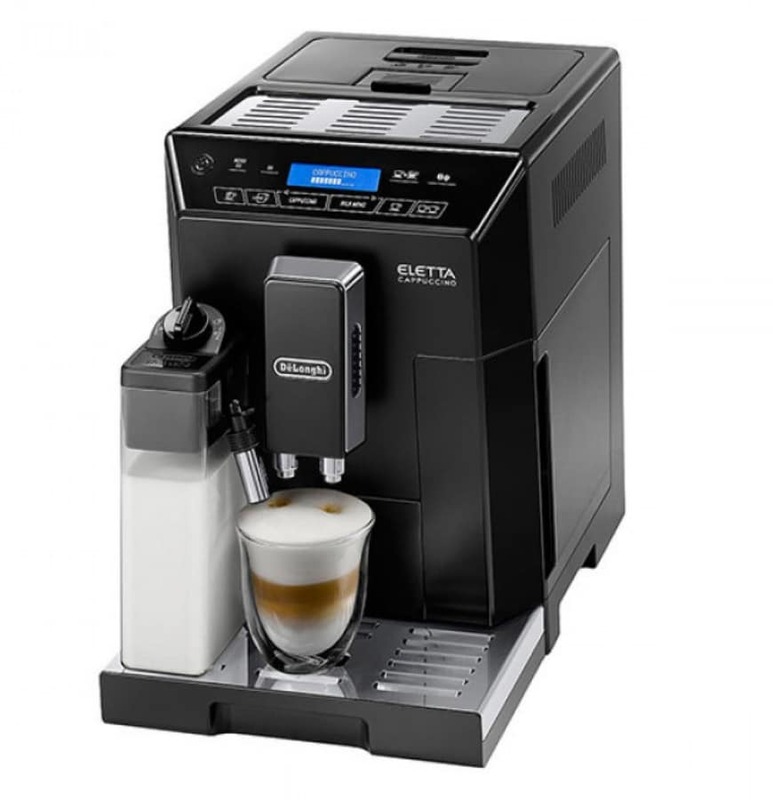 However, one issue that a number of users have raised is that while the manufacturers list espresso macchiato option as a preset option on the De’Longhi ECAM44.660.B Eletta, they’ve been unable to find the function. Unlike some machines, including some that are considered to be entry level, it doesn’t offer an inbuilt cup warmer. 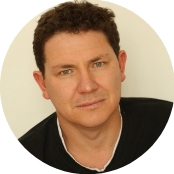 And while most consider it easy to use, others have reported finding it difficult to navigate their way around the extensive settings. 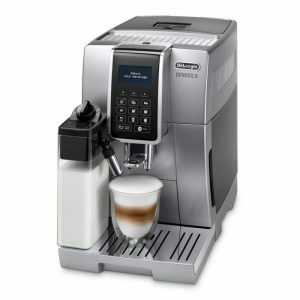 As a midrange bean to cup coffee machine, the De’Longhi ECAM44.660.B Eletta has plenty of features to admire. The integrated coffee grinder features a high-quality burr mechanism that guarantees a consistent grind, whichever setting you choose. How long does it take to make an expresso? It also delivers an impressively speedy cup, taking around just one minute to produce a single cup of espresso from bean to cup and double that for two cups or a mug. Every coffee lover knows that water pressure is a key factor in the ideal cup of coffee. 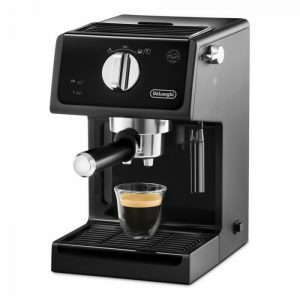 The De’Longhi ECAM44.660.B Eletta has a professional standard 15 bar water pump that guarantees the perfect extraction rate. Temperature is also another vital component in quality coffee, and some users have questioned whether this machine heats the water adequately, even on the highest temperature setting. Certainly, those who enjoy milkier coffees, such as a latte, have complained that at a temperature of just 50-55 degrees Celsius, the milk cools the coffee too much. Lookswise, the De’Longhi ECAM44.660.B Eletta won’t look out of place in even the most stylish of kitchens. Its clean lines and hyper-modern design make it as attractive visually as it is for the coffee it produces. And, given its functionality and features, it’s surprisingly compact, making it suitable for all but the smallest spaces. 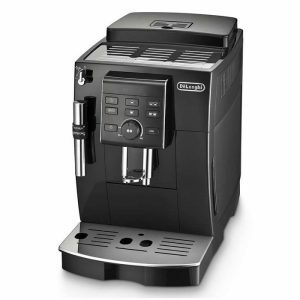 As with all Delonghi bean to cup machines, it has a two-year warranty as standard. The De’Longhi ECAM44.660.B Eletta certainly isn’t cheap but, as a midrange bean to cup coffee machine, it has plenty of bells and whistles to justify the price. From multiple preset programmes, to programmability, to ease of cleaning, for those coffee lovers who think variety is the spice of life, it’s a great option. However, for those who enjoy a hot rather a very warm cup of coffee, this may be the one drawback to this popular bean to cup coffee machine.